Mike Leake gave up 1 run in 8 innings of work, as the Cardinals hammered the Dodgers 6-1 at Chavez Ravine on Wednesday night. Leake (5-2) got the win after allowing just four hits, striking out five, while not walking a batter. He has a National League-leading 1.91 ERA. Jedd Gyorkoa had three hits and scored a run in the 2-run second inning that gave the Cards the lead for good. Rich Hill (1-2) took the loss in four innings of work. He gave up 5 runs on 4 hits. He walked 7 and struck out 4, while throwing 82 pitches. Kolten Wong delivered a 2-run single in the 2nd inning to give the Cardinals a quick 2-0 lead. Gyorko added another 2-run single in the 5th, aided by a throwing error from Bellinger. Yadier Molina would add a sac fly, and then connect on a solo homer in the 7th to make it 6-0. The only Dodger run of the game came on a sacrifice fly by Bellinger in the 7th inning. LA couldn’t get much going offensively. Chris Taylor started in center field for the Dodgers, replacing the injured Joc Pederson. Pederson collided with Yasiel Puig the night before, and is being monitored for concussion symptoms. 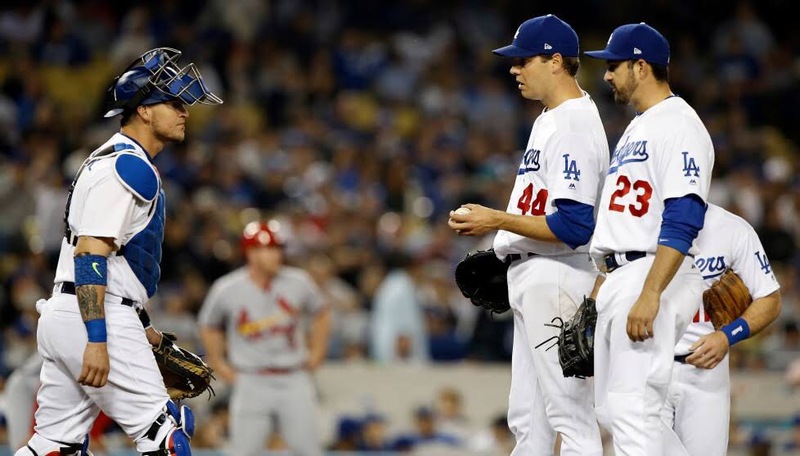 The Dodgers and Cardinals will be back at it on Thursday night in the rubber game of their 3 game set. Kenta Maeda (3-2, 5.03 ERA) will be on the mound for LA, while Michael Wacha (2-1, 2.74 ERA) gets the ball for St. Louis. This entry was posted in Dodgers on May 24, 2017 by omzzzzz.